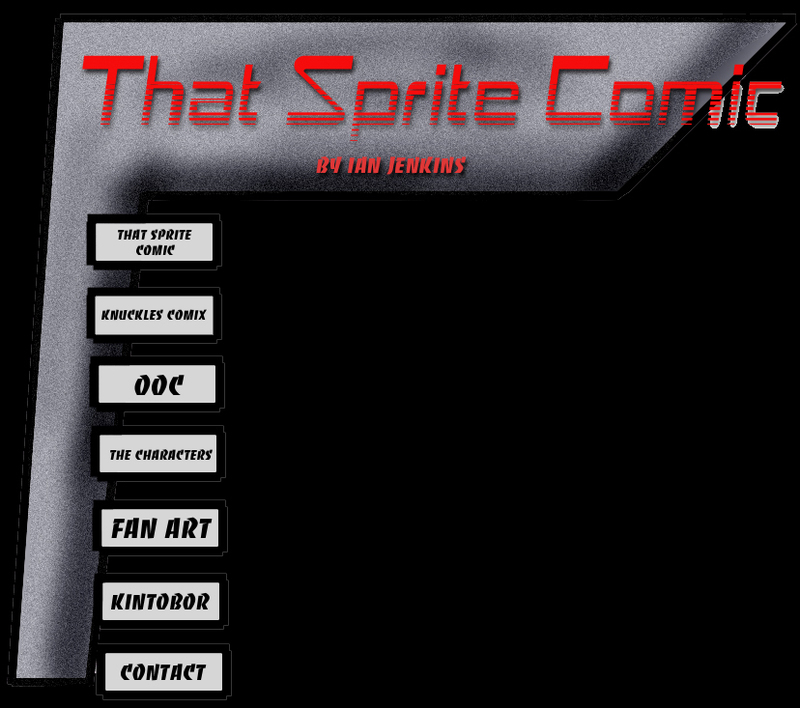 Welcome, friends to THAT SPRITE COMIC! Copyright Notice:TSC, OOC, KNUX COMIX and any of the sites content is copyright Ian Jenkins. Site Design and Layout however, is Copyright Rocky J. Raccoon. Don't steal the layout, or you'll wish you hadn't.